Studies suggest that monitoring your blood pressure at home can lead to lower numbers. People with hypertension who regularly monitor their own blood pressure tend to have lower numbers than those who don’t use a home blood pressure monitor, a new review of past studies suggests. Read full article. 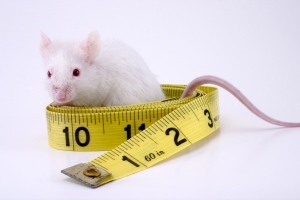 Bacterium helps to regulate metabolism in mice. The gut is home to innumerable different bacteria — a complex ecosystem that has an active role in a variety of bodily functions. In a study published this week in Proceedings of the National Academy of Sciences1, a team of researchers finds that in mice, just one of those bacterial species plays a major part in controlling obesity and metabolic disorders such as type 2 diabetes. Very informative article on hiring caregivers. From time to time, when I worked as a social worker in a skilled nursing facility, visiting family members complained to me about certain staff members. Residents too often were worried that if they themselves griped to senior managers, there might be some form of retaliation. Trouble sleeping? Try avoiding these 10 foods to get a good night’s rest! Sleep deprivation in America has become common among 41 million Americans, says the Center for Disease Control and Prevention (CDC). Dietary factors that create chemicals can trigger insomnia. Therefore, it is essential to know what foods can contribute to a cornucopia of sleepless nights. This list of the top ten foods to avoid before bed will help maintain a healthy diet and most importantly give the human body the much needed rest it deserves. Do you think YOU will need long-term care when you get older? WASHINGTON (AP) — We’re in denial: Americans underestimate their chances of needing long-term c are as they get older — and are taking few steps to get ready. A new poll examined how people 40 and over are preparing for this difficult and often pricey reality of aging, and found two-thirds say they’ve done little to no planning. In fact, 3 in 10 would rather not think about getting older at all. Only a quarter predict it’s very likely that they’ll need help getting around or caring for themselves during their senior years, according to the poll by the AP-NORC Center for Public Affairs Research. The cause of MS is still a mystery. One current theory links MS to lack of sunlight exposure. Tampa Bay Times – Annette Funicello, who died last week at age 70 of complications from multiple sclerosis, was diagnosed just as scientific knowledge about the disease was on the brink of expanding.